Boilers work hard to provide our homes with heating and hot water all year round but the essential appliance is actually one of the most neglected. A report by one of the UK’s leading boiler manufacturers Vaillant has revealed that over the Christmas and New Year festive period home owners would far rather go without their television, Internet or even their car than have to be without heating and hot water. In fact more than 50% of the British public believe a broken down boiler would be the worst thing to occur over Christmas. Whilst the findings of the survey aren’t at all surprising – after all we can think of nothing worse than a faulty boiler during the cold winter months – it’s rather unsettling that while 86% of those people surveyed say their boiler is a very important and even essential home appliance, three in five people haven’t actually bothered to have their boilers serviced within the last 12 months and 12% said their boiler hadn’t been serviced for at least two years. Vaillant’s report into attitudes surrounding the humble boiler is rather disturbing and highlights just how much fear most of us attach to boiler breakdowns, both in terms of inconvenience and the expense attributed to boiler problems. 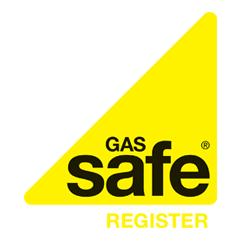 The report revealed that a problem with their boiler had left four out of ten people surveyed without heating and hot water which had led to on average a two and a half day wait for a boiler repair to be carried out. Almost one in six people questioned had to go without heating for five days and while 48% coped by wearing more layers to keep warm a third chose to go out and purchase electric heaters. For some the situation was far to unbearable; one in ten resorted to moving out in the short term, staying with friends or family until their boiler had been repaired or replaced. According to Vaillant’s research 20 million UK homes have a boiler and of the 1.5 million boilers sold annually 1.1 million, or 75%, are boiler replacements. Winter is the busiest period, with two thirds of all annual sales occurring during December, January and February. And rather than simply swapping an ageing boiler for a newer more energy efficient model, Vaillant’s research suggests that the majority of new boiler installs happen due to an existing boiler breaking down. As Boiler Guide reported last month, Vaillant has launched a multi-million pound marketing campaign to promote the benefits of its new ecoTEC high efficiency range of boilers to domestic customers. Installing their ecoTEC condensing boiler can help households to reduce their gas bills by up to 30%. The company is also encouraging people to get their existing boilers serviced once a year to ensure optimum efficiency which will help householders to keep their central heating bills as low as possible.